You almost always see someone famous at M Cafe, but not this time. People go here because everything is fresh and healthy-seeming. 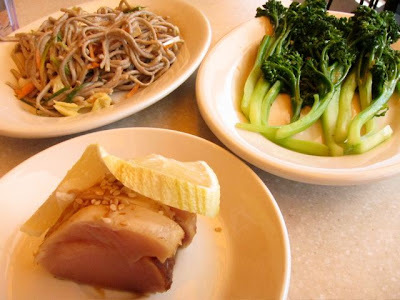 For lunch I had tuna tataki, soba noodles and brocollini.